March | 2014 | Mike Lamberti, From Margate To Cleveland, And Back ! 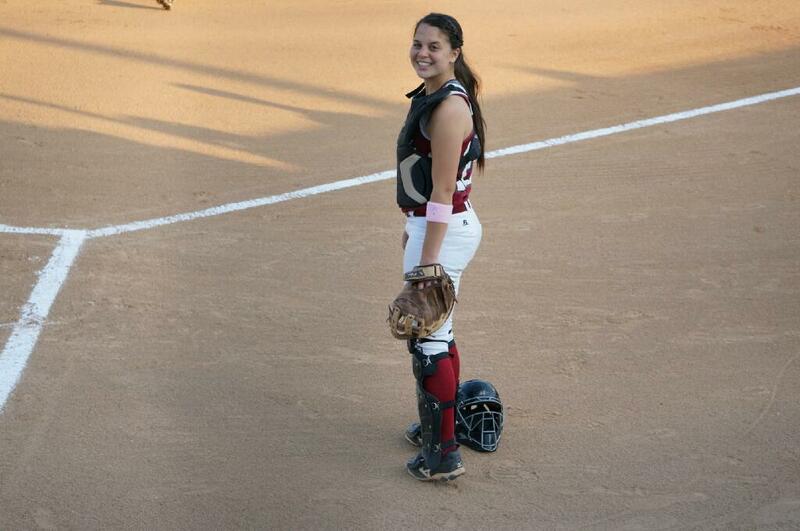 April 1 marks the official opening of the 2014 high school softball season in New Jersey. It’s what I like to call the fastest six weeks of the school year, as there are three to four games, per week, for some teams between now and mid May. And since it’s such a fast season, you need race horses (AKA studs) to reach that finish line. So, as the horse racing season nears, my usual analogy of famous thoroughbreds from yesteryear will take center stage when talking about some of my favorite Essex County teams. As my friend Anthony Larezza often says, if you want, your season will be over before Memorial Day. And he’s right. But between now and then, there will be some exciting games. Since I cover Essex County, thought it would be fun to do some pre-season rankings heading into the season opening games tomorrow. Trust me, these are just educated guesses, based on last year’s results and some of the key returning players. So, hopefully no one is offended, it’s just fun, and here goes with my top 10 in Essex. I know, Jess Peslak and Rachel Wasilak are now playing college softball, but until someone beats them in the county, they’re still number 1. The Lancers are 35-1 the past two seasons in combined Super Essex Conference and Essex County Tournament action. And don’t forget, Kylie McLaughlin (Seattle Slew) is back as the centerfielder and leadoff hitter. The Big Green Machine yet again? We shall see. 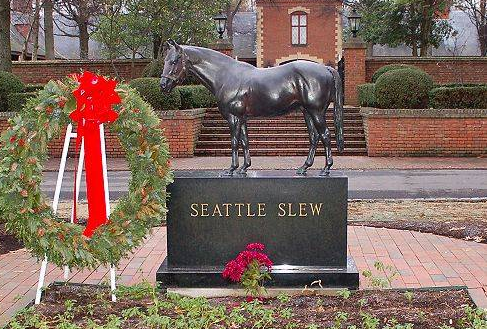 Seattle Slew (Livingston’s Kylie McLaughlin, below) will be back for another season in 2014. 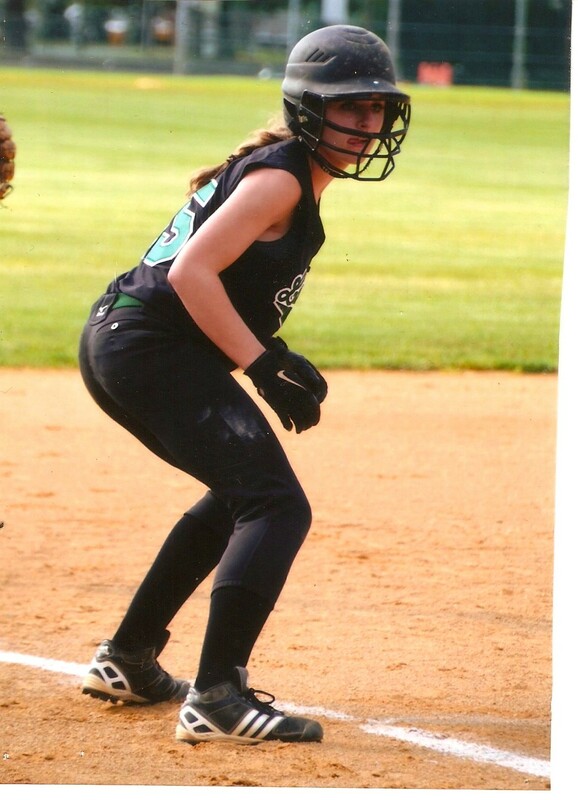 Kylie McLaughlin of Livingston will be a force on the basepaths and in centerfield. You got a few studs there, too, especially in the pitching circle with Sam Platt and Olivia Gemma. The Mount is the Mount, a talented, hard-working team. They’ll be tough to beat and if Gemma plays to the level she did last season, especially late in the year, watch out. Mount St. Dominic’s Olivia Gemma had an outstanding season in 2013. An excellent student, she will play in college at Stevens Institute of Technology this fall. 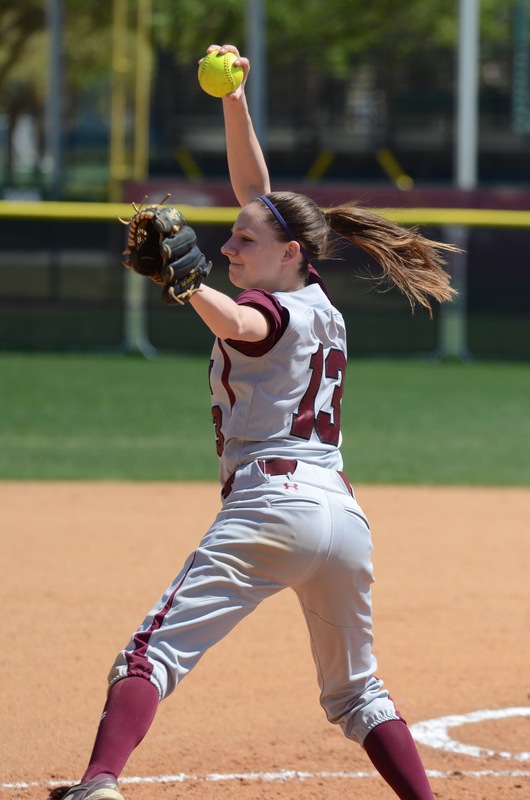 Spectacular Bid, AKA Carly Anderson, may be the best pitcher in the county this year. The Raiders had a good month of March, including 11 games in Florida, and they’re fired up to bring back the county title it last won in 2011. If they hit enough, they could move up a few spots in the rankings. Carly Anderson of Nutley, a ‘Spectacular Bid’ for the Raiders. Head coach Andrea Mondadori has a very talented team. The Knights always find a way to compete in the rugged SEC American Division. Their battery is very good and this team can hit. Rose Pezzuti is the real deal and pitcher Jenny Shaw doesn’t make many mistakes. Some freshmen could make a big difference, too. West Essex has struggled, however, against the county’s elite, over the past few years, albeit in close games. West Essex opens the 2014 season, at home, against Livingston on April 1. We should know something right away. It could be their year in the SEC Liberty Division. Newark Academy has also played well in the county tournament, including an appearance in the ECT Final Four two years ago. If the pitching holds up, don’t be surprised to see Sergio Rodriguez’s team making a deep run in the ECT and later in Non-Public B. This team can hit the ball and they’ve got seasoned players on the roster. Easily, the biggest wildcard in the bunch, so far. If pitcher Cayla Lombardi is ready to go, and all signs are positive, the Chiefs will be a factor in the SEC American, as well as the county. No program has been as successful as Caldwell in the history of the Essex County Tournament, but it’s also been a while since they’ve appeared in a final, too. Caldwell opens the regular season against Nutley. Again, this will be a good early season indicator. Hmmm…If the pitching is there, the Bengals will compete for the SEC Liberty crown with Newark Academy. Bloomfield has a marvelous player in Victoria Ross, who will play at Manhattan College in the fall. But they lost some very talented seniors from last year’s ECT semifinal squad, including Jenna Orlando, Debbie Mazzeo and Damariz Mercado. If any coach can keep this team in the hunt, it’s Bob Mayer. Bloomfield’s Victoria Ross should have a thoroughbred title very soon. Great tradition of winning, and there’s no reason to believe the Panthers won’t be a factor. But they did lose their best player, Gabby Castelli, to graduation. Castelli logged a ton of innings as the team’s top pitcher from 2010-2013 and that’s not easy to replace, especially against the SEC American’s elite teams. Veteran coach Ray VanderMay has led some tremendous teams in a different era. He returned to Cedar Grove last year and had the Panthers to the county semis before a tough loss to Mount St. Dominic. There was a time that MKA would be in the top five of any pre-season poll, but the program has struggled a bit since 2010. However, the 2014 team has a young, but experienced core of players and head coach Jess Sarfati’s stabilizing presence there could mean this team will have its first winning season since the 2009 team won the Non-Public B championship. All signs are the Mounties are ready to make a run. Montclair struggled last season, but they did come around late and it was clear the young players were improving with each game. Energetic coach Dan Roberts will assuredly have the Blue and White ready to play. Like I said, this was just a quick pre-season look to get the juices flowing. Let’s see how things look on Sunday, when the weekly rankings commence, in earnest. We’ll also have some more stud names to add to the mix. 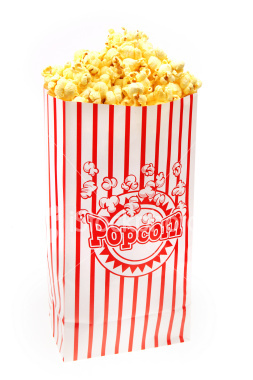 In the mean time, get your popcorn ready ! 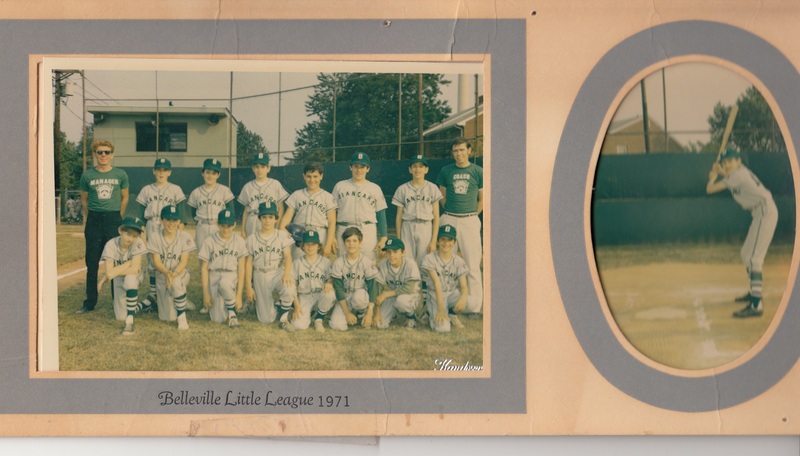 I played in the Belleville Little League 43 years ago. Richard Nixon was president, the New York Knicks were the defending NBA champs when the season started, while the Baltimore Colts were Super Bowl kings and gasoline was about .30 a gallon, I was in the seventh grade in what was then known as the Junior High School on Washington Avenue. In other words, it was a long time ago, but if you ask me the score of any of the 14 games I played that year, I can pretty much recite it, as well as the key moments of each game. (More on that later). It’s what the Belleville Little League has, and continues to mean to me a few generations later, not to mention so many other guys who played ball at Mike Marotti Field from 1965 to the present day. It’s why when the Opening Day ceremonies for 2014 are held on April 5, I’ll be standing in my familiar right field spot for a few minutes, remembering a time gone by and enjoying the sight of a new group of players getting ready to play ball, as well as reciting the Little League Pledge. Mike Marotti (right) was a former Belleville police officer and the Township’s Mayor. He was also a huge part of the little league field which today bears his name. The Little League Committee members in Belleville are working hard to make this year’s ceremony special. The theme of the day will be honoring five former players who went on to success on the professional baseball level. Frank Petite, Anthony ‘Chipper’ Biafore, Frank Fazzini, Mike Mundy and Jack Cullen all played pro ball, with Cullen the only man from Belleville to have played in the Major Leagues. Cullen pitched for the New York Yankees in 1962 and again in 1965 and 1966. He later played in the Atlanta Braves and Los Angeles Dodgers’ minor league systems. 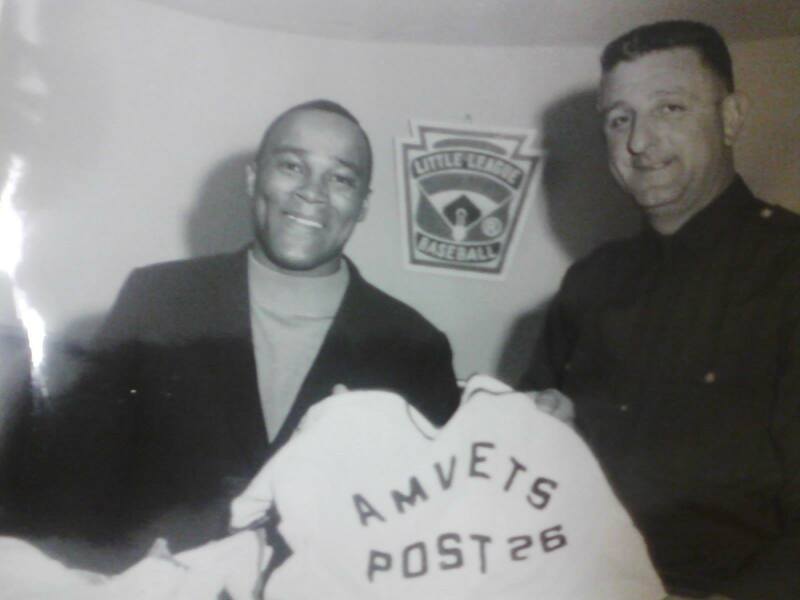 Petite played minor league ball in the Minnesota Twins organization while Biafore (Chicago Cubs), Fazzini (Milwaukee Brewers) and Mundy (Colorado Rockies) also signed professional contracts. All five men are graduates of Belleville High School and their stories are unique in their quest to attain baseball’s highest level. It should be quite a morning when the five ‘return’ to where it all started at Marotti Field. As far as the field itself, I had the chance to visit last night, thanks to Craig Jackowski and Tom Graziano and was very impressed with the work that has been done to make the place a Field of Dreams once again in 2014. The people who run the league itself have worked hard to raise money, not to mention the hours toiled to make the field house immaculate, as well as the extensive work on the field itself. I don’t doubt it. This place has a magical effect on so many, and that began with Mike Marotti’s diligence and love of kids 50 years ago. We lost Mike in 1998, but his legacy continues to burn bright. There were so many others who have helped, too, including the late Doug Cantarella and Mike Limongelli, as well as Jimmy Messina and hundreds of others. These men didn’t do it for money, they did it for love of the game and consequently, we, as kids, learned the game at a high level while also having a great deal of respect for our coaches and mentors. 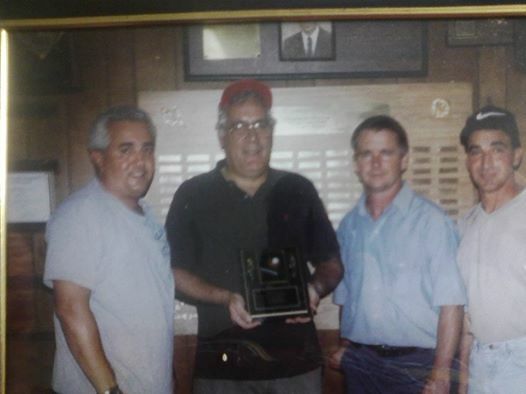 Doug Cantarella (center, holding trophy) in this 1999 photo. Doug was a huge part of the little league and a big advocate for the kids. Like I said earlier, I do recall every game I played for Biancardi in 1971. So here goes, beginning with our green and gray uniforms that made us look like major leaguers. Jim ‘Red’ Clenighan was our coach. I remember thinking the field was Shea Stadium, mostly because I was (and continue to be) a St. Louis Cardinals fan, so the National League parks had more relevance to me. Most kids I knew then called it Yankee Stadium. Opening Day: We had the Little League march, then played Rotary Club. Mickey Limongelli was our starting pitcher. I started in right field and wore No. 12. We fell behind early, but started to rally. I remember getting a hit in the fifth inning and Mickey followed with a two-run homer over the right centerfield fence. I was so excited that I forgot to touch second base and had to back and touch it as Mickey came barreling in with a big smile on his face. Rotary won, 6-3, but we were excited about our chances. Game 2: We won our first game, defeating Wallace & Tiernan, 8-2. I had two hits and made my first catch in right field. Game 3: We defeated Riefolo, 12-5. Riefolo was an ‘expansion’ team that year, but they were a tough opponent. Game 5: Our first night game of the season, against the Elks and Joe Gelpi. The game went back and forth, and late, the lights actually went out for a few minutes. I had a hit, but the Elks got the win, 6-5. I played first base that night and remember being pretty nervous under the lights. Game 6: I got my first two RBIs of the season in the first inning, a single off Dean Campana of the Varsity Club. We took a 2-0 lead, but Varsity Club, which also had a great player in Anthony Gamarro, dominated after that and won, 12-2. Late in the game, Clenighan moved me to first base from right field and I made an error. But I did come back and made this catch in foul territory to end the inning. I still have no idea how I caught that ball. I do remember my father being so excited after I made the catch. The 1971 Biancardi baseball team….Great memories ! Game 7: It was the final game of the first half of the season. 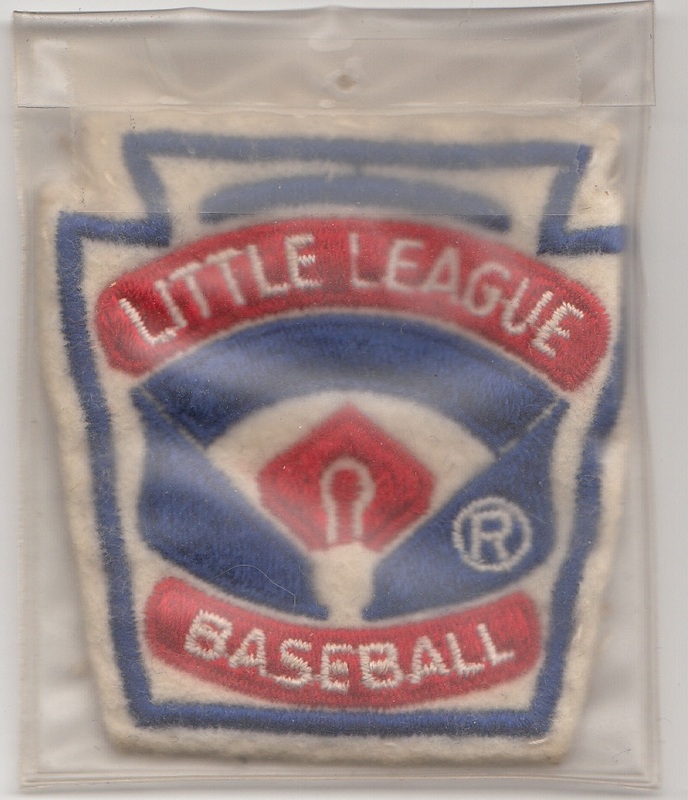 Back then, there were two leagues, the American and National, each with eight teams. We were 2-4 and needed a win to get some momentum. We beat Landolfi Funeral Home that night. I played first and had a couple of hits. Game 8: Our first game of the second half of the season was a win over Wallace & Tiernan, 7-6. I had two more hits and hurt my ankle late in the game after sliding into home. Thankfully, it wasn’t too bad. (By the way, Colony Club won the first half championship that year, beating Rotary in a one-game playoff). Game 9: My father had taken me to the old batting cages in what is now the Meadowlands to get some extra hitting in as we prepared to play Colony Club again and Ricky Loma. Ricky had one speed, which was really fast. Anyway, I actually fouled some pitches off, but Loma had the final laugh as Colony won again, 5-0, in a night game. Game 10: We beat Landolfi to start a 3-game winning streak. Game 11: Probably one of the most exciting games of that season. We were playing Varsity Club, with Campana back on the hill. This was Limongelli’s big night. He hit two long homers off Dean, who was also Mickey’s cousin, and Ronald ‘Booper’ Beck, our regular first baseman, also hit a homer. We won a 9-6 thriller. I didn’t get any hits, but it was so much playing in a game like that. We were now 3-1 in the second half of the season, with a big game against the Elks coming up. Game 12: We had lost to the Elks in a close game earlier in the season. Once again, Gelpi was their pitcher and he was a tough opponent. Gelpi was also a pretty good hitter and I remember him hitting a shot into the gap in the first inning that I actually caught in right field. I did make an error later when a ball that was hit right to me sailed over my head. Joe also struck me out twice, but in my third at-bat, I hit an opposite field single to drive in the winning run. We had won, 6-4 and were now 4-1 heading into our biggest game of the season, against Rotary. The winner of that game would most likely be the second half champions. Game 13: We were so excited to play Rotary. Mickey’s dad, Mike, was Rotary’s head coach and that Rotary team was loaded, for sure. Anyway, not much to say here, except we lost, 18-3 (no mercy rule back then) in a night game. Rotary scored six times in the first inning and that was pretty much the ball game. Booper did hit a two-run homer for us in the first inning, but we were never really in that game. Game 14: Our final game of the season came on a Saturday morning against Riefolo on a hot day. We were hoping to finish the season with a 5-2 record and figured we’d get a win against Riefolo. I played first base that day. The game went into extra innings. After striking out and grounding out in my first two at bats, I hit a double (my first extra base hit of the season) in the sixth inning, then hit what I thought would be a homer in my final at bat in the eighth. The ball hit the top of the centerfield fence and bounced back in. I ended up with a second double, but Riefolo would get the win that day, 5-3. Our team had finished 7-7 on the season. As I walked off the field for the last time, already knowing as a 12-year-old what a great privilege it was to have played ball there, Mike Limongelli, the Rotary coach, came over and congratulated me on my two doubles. Forty three years later, I still remember that, because it meant so much for me to hear that from an opposing coach. I was 11-for-30 that season, with a .367 batting average, no homers and 8 RBIs. Rotary would end up beating Colony Club for the National League title as they dominated Loma in the playoff game, but Amvets, the powerhouse American League champions which was undefeated that year, swept Rotary in the championship round. Biafore, ironically, played for Amvets. I will never forget those days, for sure. John Herco, Jim Clenighan Jr., Limongelli, Beck, Anthony Speer, Joe Norton, Tom Bianchi, Kenny Gruber, Dominick Rodano, Rich Morowski, Tom Henry, Mike McNulty, Mike Lichamelli and Rich Gaschke were my teammates in 1971. Joe Norton Sr. was the assistant coach. Sadly, Mickey Limongelli passed away at a young age and a few years after that, his dad passed. My coach, Red Clenighan, died a while back, too. We all grow up, but it’s nice to know how much the little league meant to us as kids. The passions are evoked every year, especially on Opening Day, and that will be more than evident this coming April 5. Overall, it was a good day of wrestling at Region 4 for Essex County-based wrestlers. Caldwell led the way by advancing three to the championship round. Ultimately, two wrestlers from Essex County won gold at Region 4. John Faugno of Glen Ridge, the second seed at 160 pounds, won a thriller in overtime while West Orange’s Christopher Morgan, the top seed at 182 pounds, also won a title. Eight wrestlers from Essex County schools in Region 4 will make the trip to Boardwalk Hall in Atlantic City for the NJSIAA championships from March 7-9. Faugno’s win was particularly impressive. He had a 4-0 lead over top seeded Rory Forys of Becton, but Forys battled back with an escape, stall point and reversal at the buzzer to force overtime. In the extra session, Faugno recorded a pin with a wild move late in the fourth period when he reached around Forys, at the edge of the mat, caught him with a headlock and locked in for the fall. Faugno became the first wrestler from Glen Ridge to win a Region 4 title since Nick DePhillips and Robbie Schwalbenberg each took gold in 2009. Faugno will attempt to become the first state medal winner at Glen Ridge since DePhillips placed in Atlantic City in ’09. Morgan, a junior, won the 182 pound title with a solid win over previously unbeaten Jan Castellanos of Secaucus. For Caldwell, Dean Caravela (113), Ray Iodice (152) and Joe Bongo (220) all wrestled in the championship round, but fell short. They all qualified for the state tournament on the basis of making the region finals. Nutley’s Joe Ferinde lost in the 120-pound final while Steve Bonsall of Newark Academy dropped a close match in the 138-pound final. West Orange’s Jordan Velez was defeated in the 145-pound match. Also of note is North Bergen’s Anthony Giraldo won his fourth straight Region 4 title today. It was the first time a wrestler has won four consecutive championships in the region since Bobby Dabal accomplished the feat, also at North Bergen, from 2005-2008. Frank Cagnina of Queen of Peace won three straight Region 4 titles and captured four crowns overall, but in his freshman year, he was a Region 2 champion while wrestling at Bergen Catholic before transferring to Queen of Peace in 2008. As Tommy Dunphy concluded his third place bout with a win at 138 pounds, his parents, Leah and Jim sat in the stands, watching. Leah’s face told the story, as she yelled, cringed and ultimately broke down in tears. Jim? His look never changed. As Leah hugged everyone in the Passaic Valley section of the stands, Jim never took his eyes off what his son had just accomplished. It was, again, the story of perseverance. Tommy Dunphy had started the season with a serious knee injury that would require surgery. He was now qualifying for the NJSIAA championships in his senior year. Amazing what can change in a few months. The same stories could be told of the other 13 kids at Region 4 in West Orange who qualified for the states after finishing third in their weight class. There was drama, last-second wins and the obligatory agony of defeat, too. Never was that more apparent as when Newark Academy coach Jay Gerish watched from the sideline as his son, Patrick, lost in the third place bout at 152 pounds. Jay was the coach, but he’s a father first, who needed to console his son the best he could in his final high school match. As devastated as Patrick was after dropping that final match, he and his father shared an embrace that only a true wrestling fan will ever understand. Patrick Gerish had devoted a great deal of time to not only succeed, but be a great wrestler. One bad day won’t take that away from him, but try telling that to a 17-year-old kid. When the smoke clears, he’ll be known as his school’s winningest wrestler, as well as a three-time District 14 champion and a qualifier at the 2013 NJISAA championships. He’ll go on to college, where he’ll most likely continue his wrestling career (the University of Maryland is high on his list now) and will succeed in life, due in part, to dealing with adversity and learning from that weekend at Region 4. The Region 4 championship bouts will be contested later today. The winners and losers of those matches are both assured of a trip to Boardwalk Hall in Atlantic City next weekend. But for those kids who took third, they can sit back now, smile, and say they’re going to the big show, too. Debbie Andriani had sat in the same place in the bleachers at West Orange High, rooting for her son, Patrick, a captain and heavyweight wrestler at Passaic Valley High, compete at the Region 4 championships. When Patrick lost his second wrestleback, 2-1, to end his season, the proud mother appeared stunned, with tears welling in her eyes. Debbie’s youngest son is a senior, so this, in essence, was probably his last wrestling match. It’s the story of the final day of the Regions, when a long season begins to wind down and wrestlers just miss a chance to compete in Atlantic City. Leah Dumphy knows her friend’s pain. Her son, Tommy, is still eliglble to compete at the states, but he needed to win his final wrestleback. She sits and waits. For the wrestlers and fans, the final two rounds of wrestlebacks are exciting, yet nerve racking. All that hard work comes down to this day, with so many slots available and too many kids wanting the chance. When the consolation round finals commence, the crowd regains momentum and the excitement is evident when a young man punches that proverbial ticket to AC. Many will say that the third place bouts are more intesne than the 14 championship bouts which will follow. Those in the finals are assured a berth at the states. The consolation finals are different. You win, you’re in. You lose, and that’s the end of the season and possibly the end of their wrestling careers. So, with thata said, there’s a break in the action. The consolation finals begin at 1;30 p.m. Leah Dunphy will have to wait a little longer. Ray Iodice of Caldwell has posted the two biggest upsets at the Region 4 werstling tournament in West Orange and has gained a spot in the 152-pound championship bout. Iodice and teammates Dean Caravela and Joseph Bongo, along with John Faugno of Glen Ridge, Nutley’s Joe Ferinde and Steve Bonsall of Newark Academy were all slated to wrestle later on March 1 in their respective championship bouts for Essex County wrestlers.